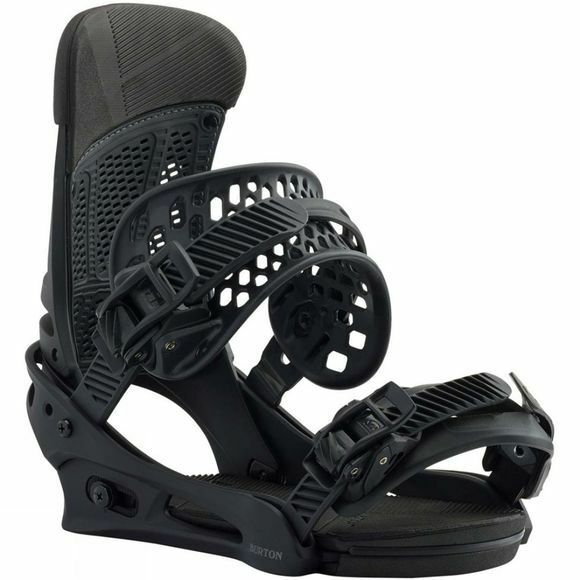 The Mens Malavita Snowboard Bindings from Burton has a freestyle focus that blends Burton’s top technologies with a mid-range flex. A pro favorite season after season, the men's Burton Malavita EST snowboard binding has carved out a reputation for its ability to destroy everything that gets in its way. Features like the Heel Hammock, Supergrip Capstrap 2.0, and Asym Hammockstrap wrap response around the boot for a seamless fit and ultimate comfort. 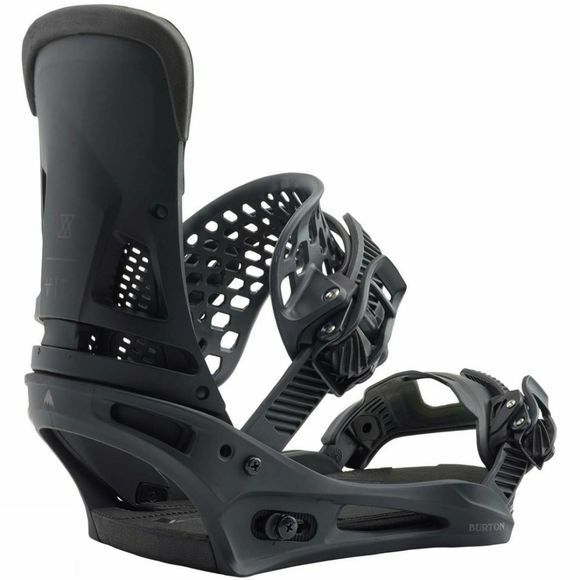 Offered in two versions, the Re:Flex mounting system is compatible with every major snowboard brand on the market. Winged hi-backs on the Vape Cloud colorway make for easier tweaks and presses.